Ipswich Town manager Paul Lambert has played down speculation that the club are looking to sign Tranmere Rovers striker James Norwood. The 28-year-old is out of contract with Tranmere at the end of the season and has been offered a new deal, but he looks set to become a free agent in the summer. The centre-forward has been heavily linked with a move to Portmand Road, with HITC reporting that Town are in pole position to sign him on a free transfer. However, Lambert has played down the speculation, insisting that there is no truth to the claims. “No, not at all. There’s a few areas of the field which need a little bit of strengthening,” said Lambert, when asked if there is anything to the claims linking Norwood with a move Ipswich, as quoted by TWTD. Norwood has had an outstanding season for Tranmere in League Two, scoring 27 goals in 40 league appearances. He is the top scorer in the top four English divisions and was named the League Two Player of the Season at the EFL Awards last night. Lambert was speaking to the media at his press conference ahead of Town’s Championship clash with Brentford on Wednesday night. Ipswich are bottom of the Championship table, thirteen points from safety and their relegation to League One is all but confirmed. Norwood has been outstanding for Tranmere this season and could be a good signing for Ipswich, so it is interesting to hear Lambert play down the speculation. Town’s relegation from the Championship is all but confirmed, so Lambert needs to start planning ahead for next season and Norwood could be a great addition to his squad. 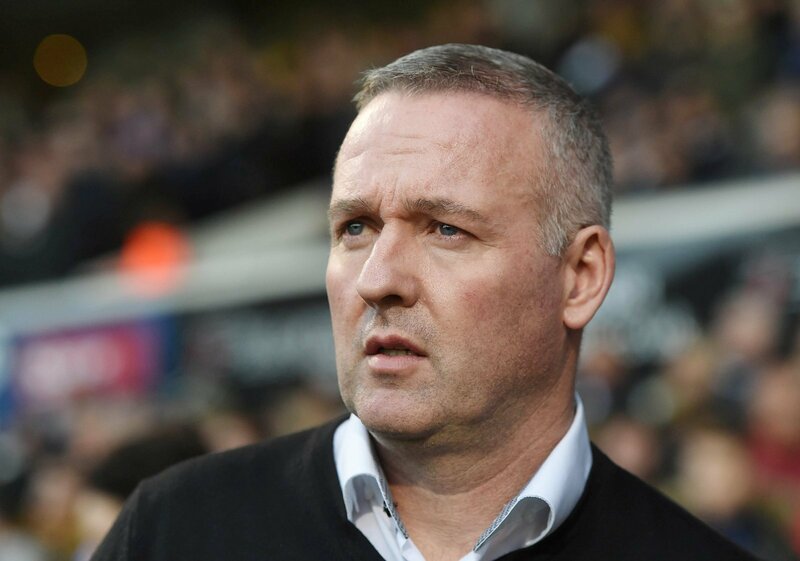 It will be interesting to see what happens regarding the player’s future come the end of the season, but for now, Lambert will be firmly focused on the game against Brentford.